"Like many people, Kathleen Hall found that despite great success and material wealth, she had yet to identify purpose, meaning, and balance in her work and her life. She left her Wall Street firm and devoted herself to understanding the relationships between mind, body, and spirit, and between professional and personal fulfillment. Since then, she has studied with great spiritual leaders including the Dalai Lama, Bishop Desmond Tutu, and the exiled Vietnamese monk Thich Nhat Hanh. She has also learned from medical experts like Dr. Dean Ornish of the Preventive Medicine Research Institute and Dr. Herbert Benson at the Harvard Mind-Body Institute. Our lives pull us in many different directions; to find happiness, we must first create balance. 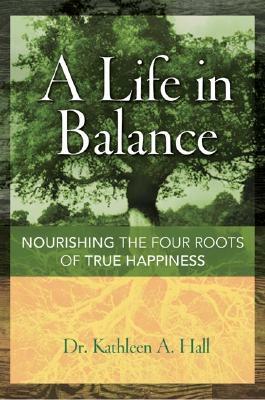 Filled with wit, wisdom, and compassion, A Life in Balance will help any reader identify and stay true to his or her authentic self." Author Name: Hall, Kathleen, Dr. Description: 262 pp., index. New, no markings, publication press release laid in. A blueprint for relieving stress by creating harmony between work and home. A blend of psychology and spirituality.